I have a confession to make; I am not really a fan of green. Don’t get me wrong, it looks great on others but horrible on me. The only time you will see me wearing green is usually on St. Patrick’s Day. I have many fond memories of this holiday right down to the green beer. Naturally, I had to help my fellow planner babes get their planners ready for the upcoming holiday. 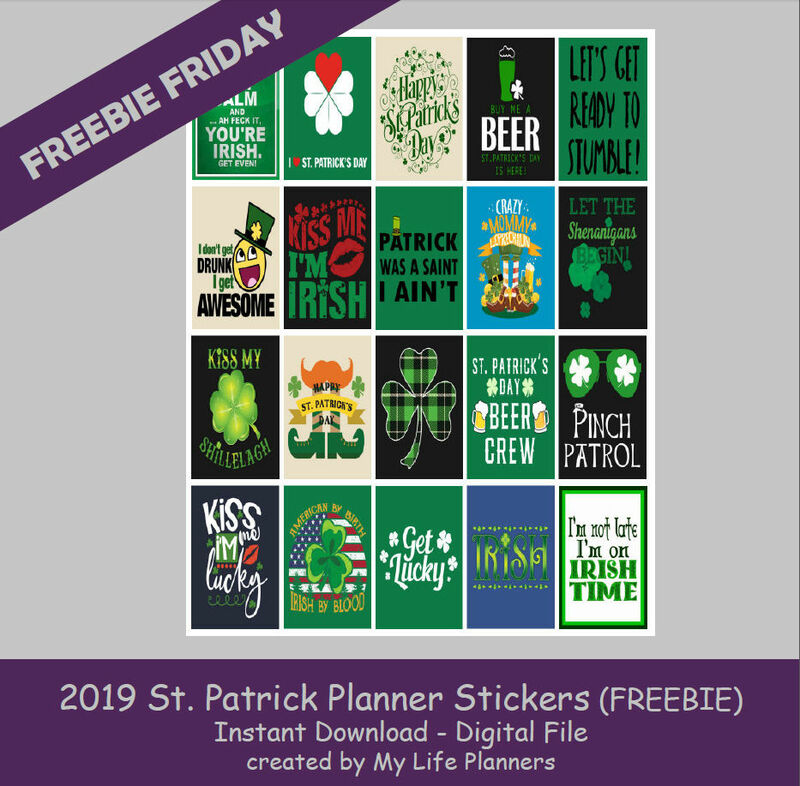 That is why this week’s feature for Freebie Friday is St. Patrick Day Planner Sticker Quotes. If you missed the last two year’s of St. Patrick’s Day Planner Stickers you can revisit and download 2017 here and 2018 here.